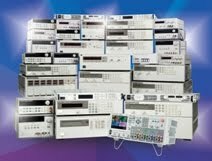 How do I measure inrush current with an Agilent DC Power Supply? Hello everybody! I want to build on my blog post from last month. This month, we are going to discuss how to measure inrush current using the DC Power Analyzer’s scope function as well as the digitizer feature that is available on some of our system power supplies. 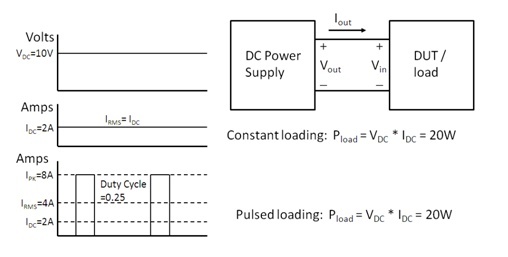 Measuring inrush current is a task that many customers that use DC Power Supplies want to accomplish. When you are doing this test on the bench, the N6705B DC Power Analyzer (DCPA) is your best bet. The DCPA has the scope feature which makes this a breeze. One of the great things about Agilent power supplies is that they can measure current directly, without the need for a current probe. Some of our supplies have very high current measurement accuracy as well so you can get an accurate representation of your current. In the below screenshot, I just had a capacitor connected to the output of the supply. I set a voltage arbitrary waveform that went from 0 V to 20 V with the voltage slew set for the maximum. I set the scope to trigger on the Arb run/stop key so that when I hit the key, both the arbitrary waveform and the scope triggered. After I acquired the waveform, I used the markers to get the maximum current. That number is our inrush current. As I said earlier, DCPA is geared towards bench use. The graphical scope makes this task pretty easy. Many of our system supplies (as well as the DCPA) have a digitizer feature that you can access using the SCPI programming interface. The digitizer will sample the output using settings that you provide it. These settings are: the number of points, the time interval between points, and the number of pretrigger points that you acquire. In the N678xA SMU modules, the time interval is as low as 5.12 us and the number of points is as high as 512kpoints. Here is a list of commands to set up the digitizer (written for the N67xx supplies) as well as some comments. 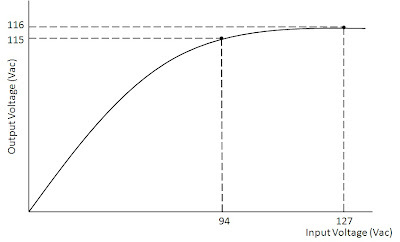 Using this code, once the trigger is sent, the measurement system will acquire 5000 points at a time interval of 20 us while taking 100 pretrigger points. Once you have the array of current measurements, you can do any normal calculation that you can do on any array. To measure inrush, you want to find the maximum current in the array. This peak will be your inrush current. I wrote a program that followed the exact same steps that I used on the scope above (setting up a step that went from 0 to 20 V and synchronizing triggers) and measured a maximum of 1.07748 A. As you can see, I got a similar result from the two different approaches. That is all that I have this month. I hope that it is useful information. If you have any questions at all please feel free to ask them in our comments. Why would a DC power supply have RMS current readback? During a conversation with a colleague at work one day the topic of having RMS current readback on DC power supplies came up. It is a measurement capability we have on a number of our system DC power supplies. He posed the question: Why the reason for having such a capability? I actually had not been involved with the original investigations identifying what reasons this was added so I instead had to rely on my intuition. That’s not always a good thing but it did help me out this time at least! He had argued that since you are feeding a fixed DC voltage into the device you are powering, the power consumption is going to be a product of the DC (average) voltage and DC (average) current, regardless of whether the current is purely DC, or if it is dynamic, having a substantial amount of AC content. This is true, as I have illustrated in figure 1, comparing purely DC and pulsed currents being drawn by a load. For purely DC current the DC and RMS values are the same. In comparison, for a pulsed current the RMS value is greater the DC value. Regardless, the RMS current value does not factor into the overall power consumption of the DUT here. 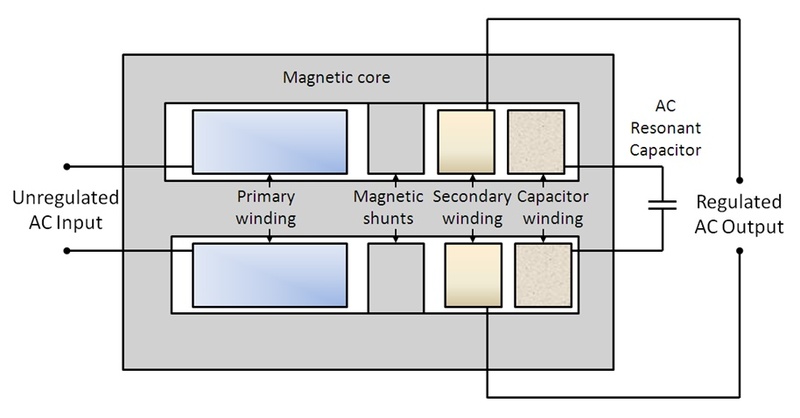 The power consumption is still the product of the DC voltage and current. So why provide an RMS current measurement? Well there can be times when this can prove useful, even when the DUT is powered by a fixed DC voltage. Consider the scenario depicted in Figure 2. Many products incorporate fuses to protect from over-current and subsequent damage, usually brought on due to misuse or component failure. Fuses are rated by their RMS current handling, not the DC current. 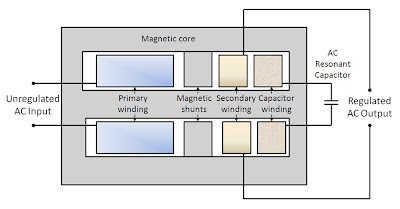 In the case of the pulsed loading the RMS current is twice the DC current and the resulting power in the fuse is four times that for a constant current. If the fuse was selected based on the DC current value it would most certainly fail well below the required operating level! My colleague conceded that this fuse example was a legitimate case where RMS current measurement would indeed be useful. Maybe it was not a frivolous capability after all. No doubt sizing fuses is just one of many reasons why RMS measurement on DC products can be useful!